Eurodollar continues moving downwards close to its latest minimums. 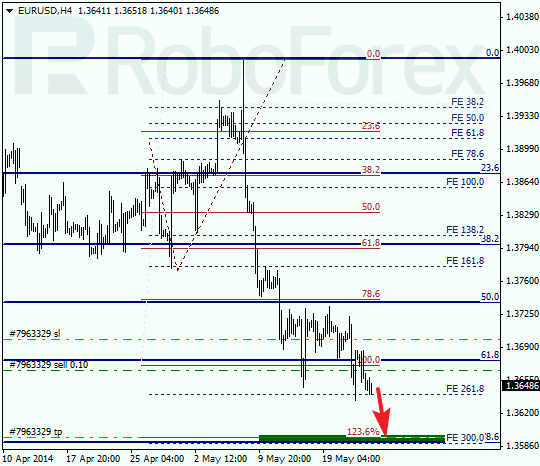 Main target, the group of lower fibo levels at 1.3600 – 1.3590, is just several tens of pips away. If later price rebounds from them, market may start deeper correction. As we can see at H1 chart, yesterday price rebounded from local level of 50% (1.3682) twice. Temporary fibo-zones indicates that lower targets may be reached during the day. After breaking its maximum, Franc started consolidating. In the near term, price is expected to reach the group of upper fibo levels at 0.8980 – 0.8975. Future scenario depends on how instrument will move inside this target area. 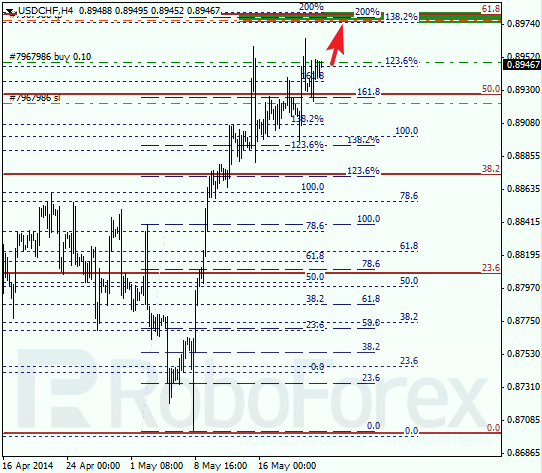 At H1 chart, we can see that yesterday pair rebounded from local level of 61.8% (0.8922). According to analysis of temporary fibo-zones, upper targets may be reached on Friday evening or in the beginning of the next week. I’ll move stop into the black as soon as price breaks its maximum.